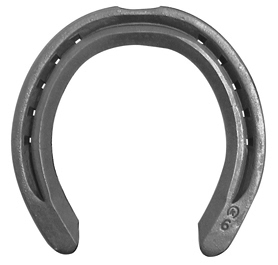 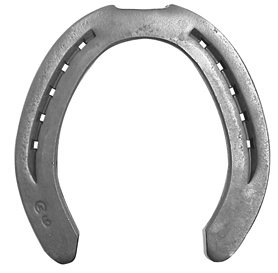 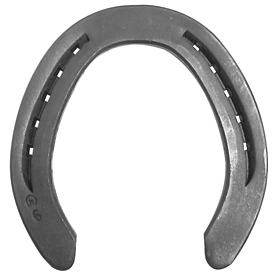 Horses pulling carriages on city streets typically require a strong steel shoe to maintain soundness and prevent excessive wear on hooves while working on pavement. 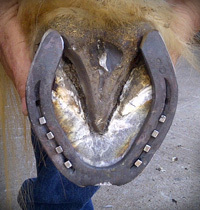 Traction devices such as Borium, or studs can be applied to the ground surface of the shoe to help prevent slipping, and increase wear. 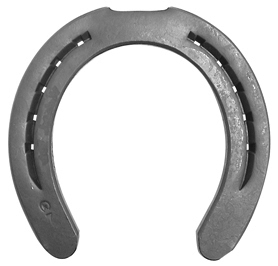 Kerckhaert provides a variety of shoe options for carriage horses of all sizes, including the versatile DF Series, Century Big Foot Clipped, and the Draft 28x12.